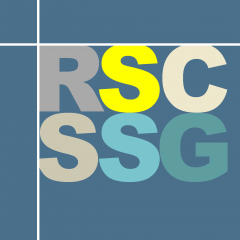 The 2017 RSC meeting on environmental analysis entitled ‘What’s new in the analysis of complex environmental matrices?’ was held on the 3rd of March, at the RSC’s Burlington House in London. The meeting was organised by the RSC SSG, the Environmental Chemistry Group and the Water Forum, and was sponsored by Agilent Technologies, Anatune Ltd., Hichrom Ltd., Imspex Diagnostics Ltd., Kinesis, Markes International and Thames Restek Ltd., as well as by the Environment Sustainability and Energy Division of the RSC. A full meeting report will be published in the next Environmental Chemistry Group Bulletin, but for now, here is a brief summary of the meeting (click on the links for full .pdf versions of each talk). The meeting began with Dr Leon Barron (King’s College London, UK) discussing his recent work involving the screening of complex forensic and environmental samples using high resolution analysis and in silico data mining tools. After Dr Barron’s presentation came a talk by Dr Andrew Sweetman (Lancaster University, UK), on the use of passive samplers as a potential compliance tool within the EU Water Framework Directive. Prof Colin Creaser (Loughborough University, UK) then spoke about the use of ion mobility spectrometry in environmental analysis. The mid-morning coffee break was followed by a thought-provoking presentation on the use of brominated flame retardants in consumer waste by Prof Stuart Harrad (University of Birmingham, UK). Then Prof Jaroslav Slobodnik (Environmental Institute, Slovak Republic) gave the morning’s keynote lecture on the NORMAN network’s assessment of environmental pollutants in European river basins. Between the morning and afternoon sessions, attendees enjoyed their lunch in the beautiful setting of the Burlington House library, and engaged with instrument vendors, including Agilent, Waters and HiChrom. The afternoon session began with the second keynote lecture of the day, by Prof Jacob de Boer (Vrije Universiteit Amsterdam, Netherlands). Prof de Boer spoke about the use of direct probe time-of-flight mass spectrometry to study human exposure to indoor environmental pollution. Gavin Mills (Severn Trent Ltd., UK) then discussed recent advances in the determination of taste and odour compounds in drinking water, after which Prof Barbara Kasprzyk-Hordern (University of Bath, UK) highlighted the importance of urban water profiling to inform our understanding of the state of the environment and public health. Finally, Dr Mark Perkins (University of York, UK) presented his recent research using Selected Ion Flow Tube Mass Spectrometry (SIFT)-MS for the measurement of volatile organic compounds in ambient air. Prof Roger Reeve (University of Sunderland, UK) then brought the meeting to a close. We are grateful to all speakers, sponsors and participants for making this another successful meeting, and we look forward to our next environmental analysis gathering in 2019!